Four types of coloured, textured and beveled glass are combined with a sensual caming design to create this contemporary look for your homes entrance. Simple elegance and energy efficiency come together in Stanleys stunning Chatham decorative glass collection - a camber top style 1/2 lite. PLEASE ALLOW 2-3 WEEKS FOR DELIVERY AS THE DOOR IS CUSTOM MADE. Inspired by the great Architectural traditions of the 20th century, the Chicago series offers you a classic look for your homes entrance. PLEASE ALLOW 2-3 WEEKS FOR DELIVERY AS THE DOOR IS CUSTOM MADE. 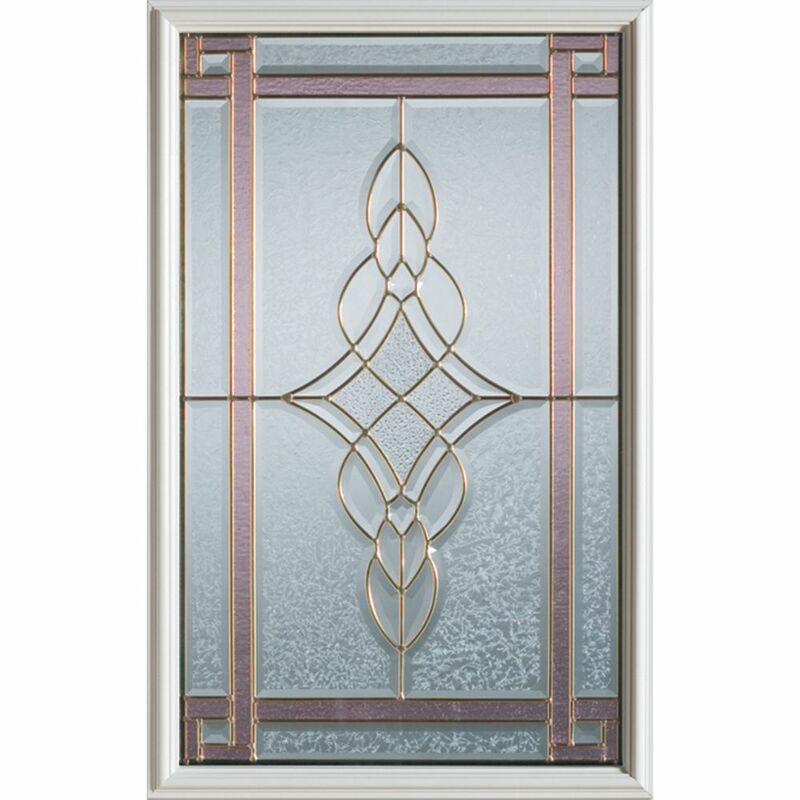 23 inch x 37 inch Milano Brass Caming 1/2 Lite Decorative Glass Insert Four types of coloured, textured and beveled glass are combined with a sensual caming design to create this contemporary look for your homes entrance.